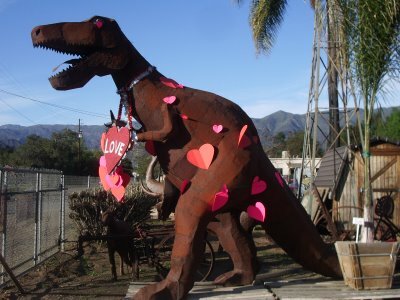 Ventura Dreaming: Happy Valentines Day! 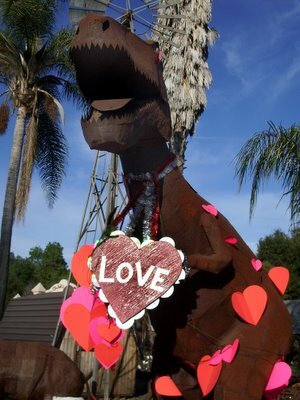 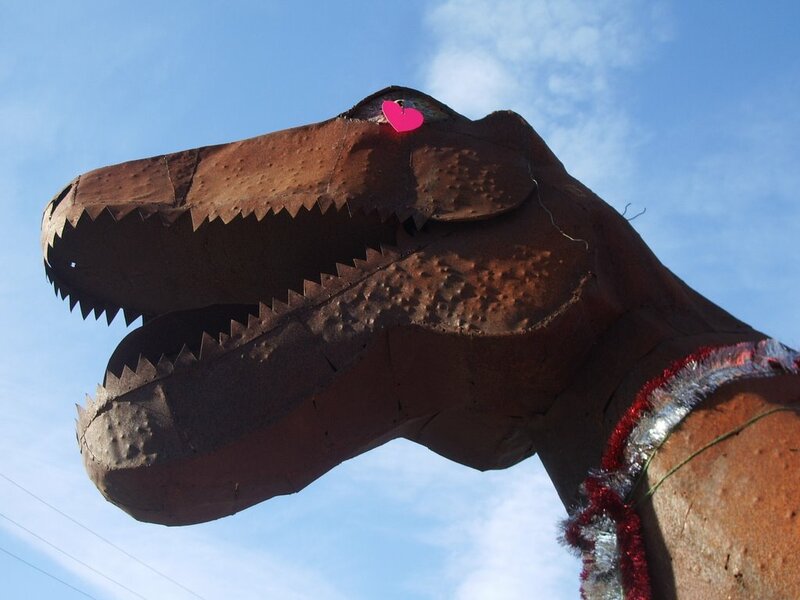 I am a great fan of whoever is responsible for decorating the big metal Tyrannosaurus rex in front of the Ojai Nursery. The big guy looked especially festive this weekend!